Toyota steering angle sensor data damaged is a common problem which usually generates trouble code:C1433.This failure is usually caused by auto repair technician when operating battery,replacing auto hairspring.If you ask stealership to repair it,they will advice you replace whole module,and then do mechanical adjustment,it will cost you several hundreds dollars.Here I share the method of How to restore Data Damaged of Toyota Steering Angle Sensor. 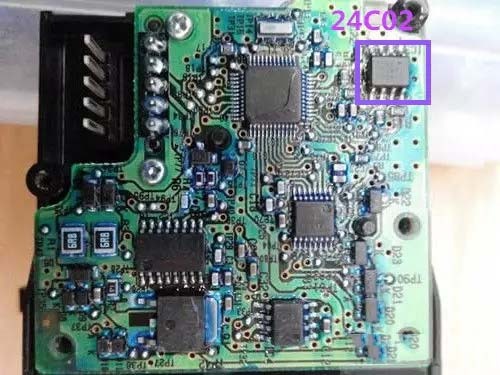 This method can apply to Toyota vehicle which equiped with 24C02 internal data chip model and has same data structure,and no matter what Toyota Vehicle model or number.It has been verified on many car,and succeed. 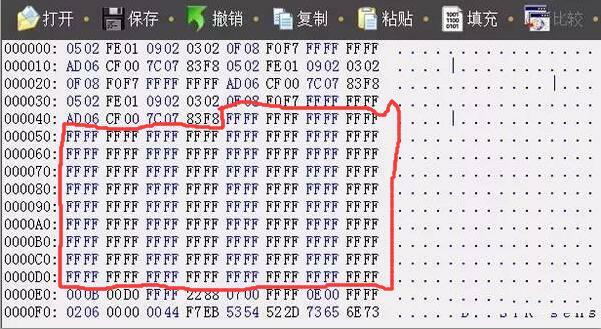 Below show the steering angle data files of Toyota CROWN and Toyota Reiz.The steering sensors of Toyota CROWN and Toyota Reiz have difference appearence and difference number,but same internal data chip model:24C02 and data structure.So we can use this method to restore data file. Save data file on your laptop,and open by editor. 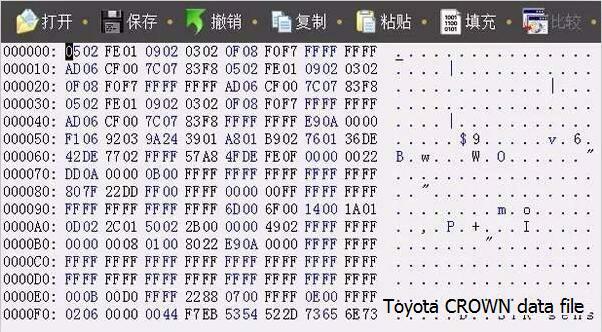 (here we take Toyota CROWN data file as a example).Rewrite digits from 000040 line to 0000D0 line show on below picture.In the picture the digits need to be rewritten have been marked by blue underline. 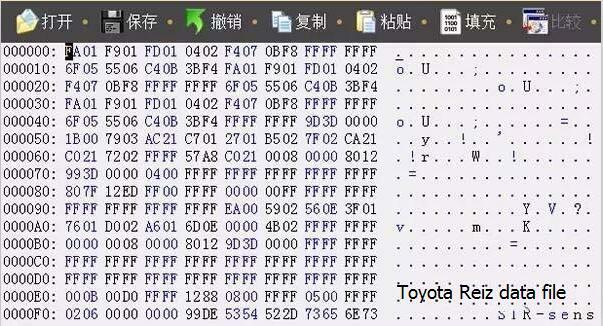 After rewriting,the data file of Toyota CROWN show as below. 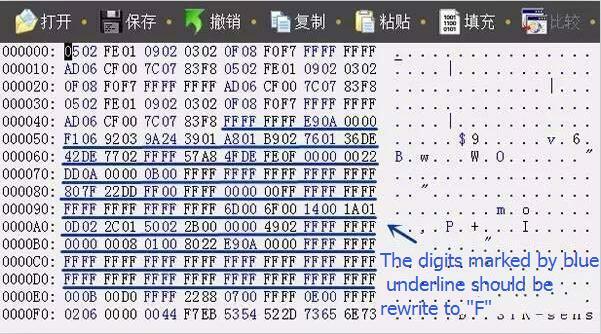 And then use programmer to write this data file back to 24C02 chip,and then do mechanical adjustment. 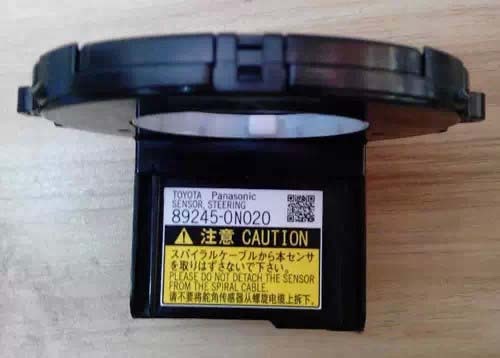 You can read the article “Repair & Adjust Toyota Steering Angle Sensor C1433 error” to get information about how to do mechanical adjustment. How to Reset Steering Angle Sensor?